Stretching is very important before nay physical exercise. Proper stretching can lead you to a better workout. Stretching books can help you in this matter. Stretching Anatomy is a similar kind of book Stretching. This book will guide you with the knowledge how to increase range of motion, supplement training, enhance recovery, and maximize efficiency of movement. It also gives detailed understanding of how each stretch affects your body. 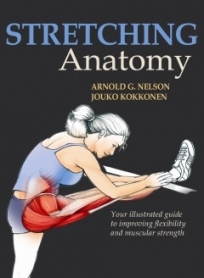 Stretching programs of this book generally have three level of difficulty and also provides detailed instruction on how to stretch, when to stretch, primary and secondary muscle emphasis, and which muscles are activated for support. Disclaimer: ToughTrain.com provides the information which is periodically updated, no guarantee is given that the information provided in this website is correct, complete, and/or up-to-date. The materials contained on this website are provided for general information purposes only and do not constitute legal or other professional advice on any subject matter. ToughTrain.com does not accept any responsibility for any loss which may arise from reliance on information contained on this site.